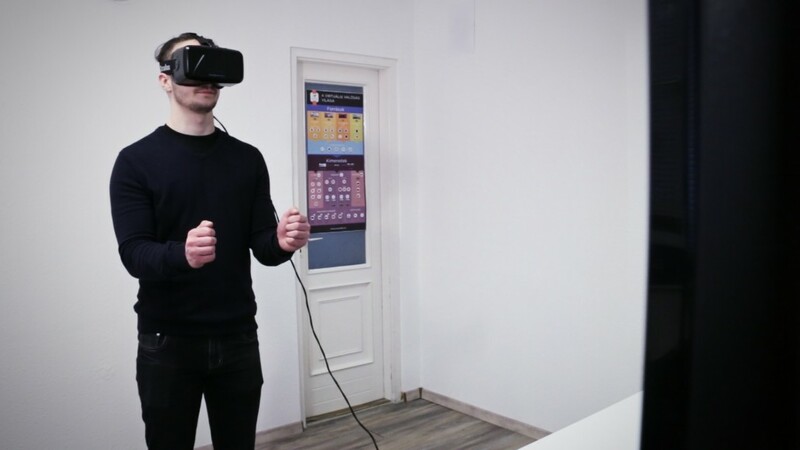 Once again, Arworks came out with a unique idea to present the possibilities of virtual reality. 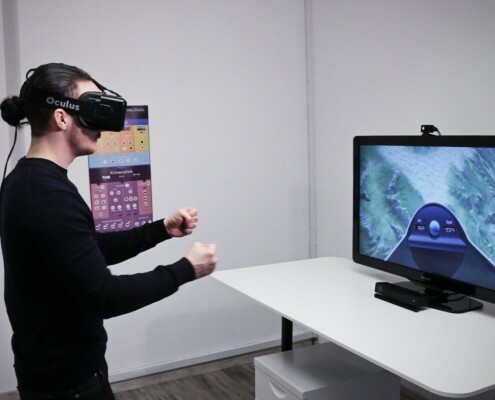 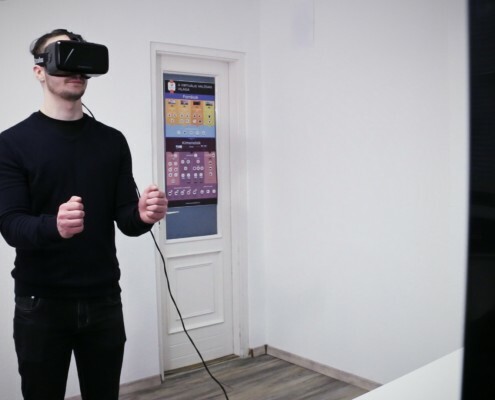 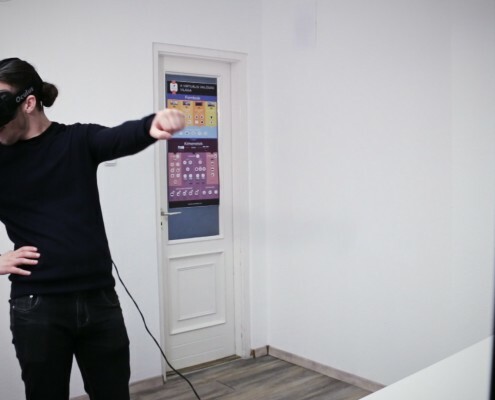 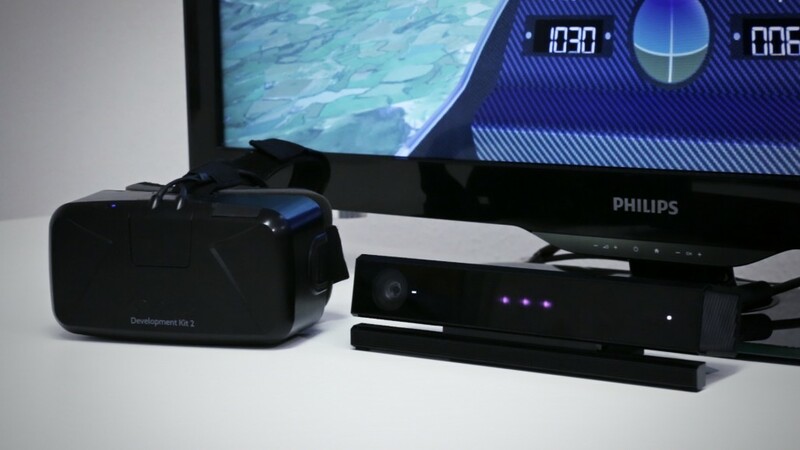 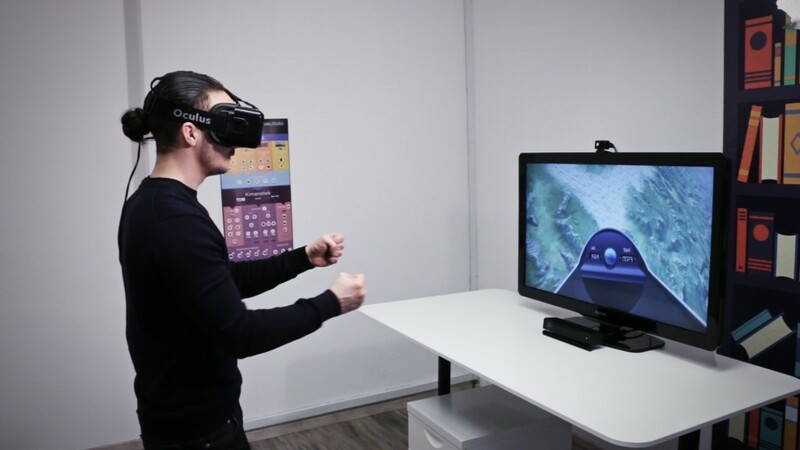 During an experiment, we connected the much awaited and Facebook-owned Oculus Rift virtual reality glasses with Xbox Kinect, a device that detects motion. 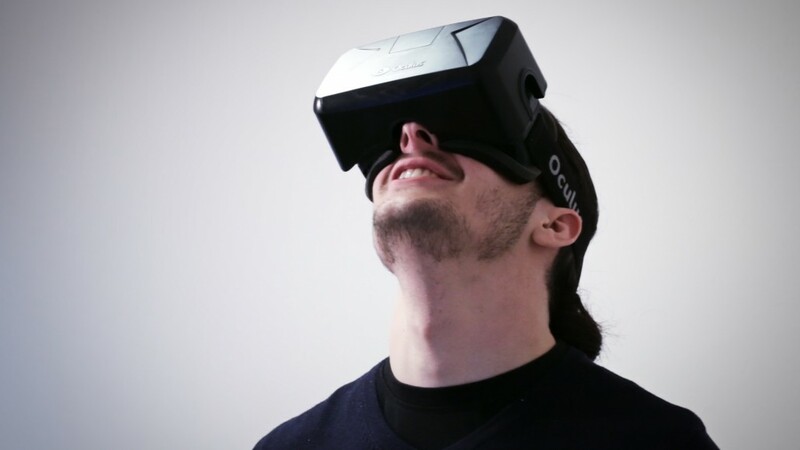 Thanks to the lucky pairing of these devices the users not only can look around but also move as well in the virtual world. 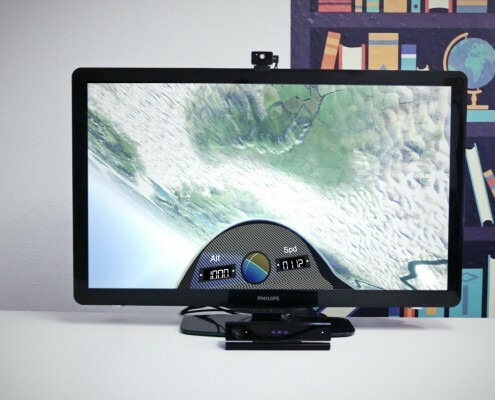 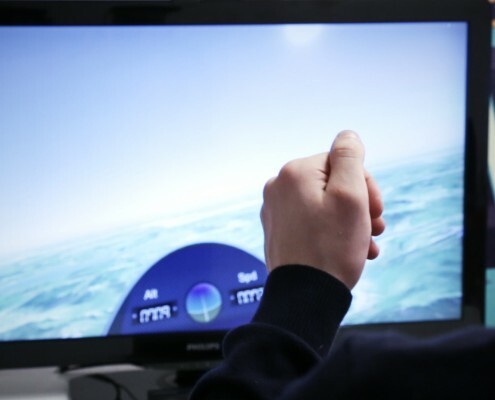 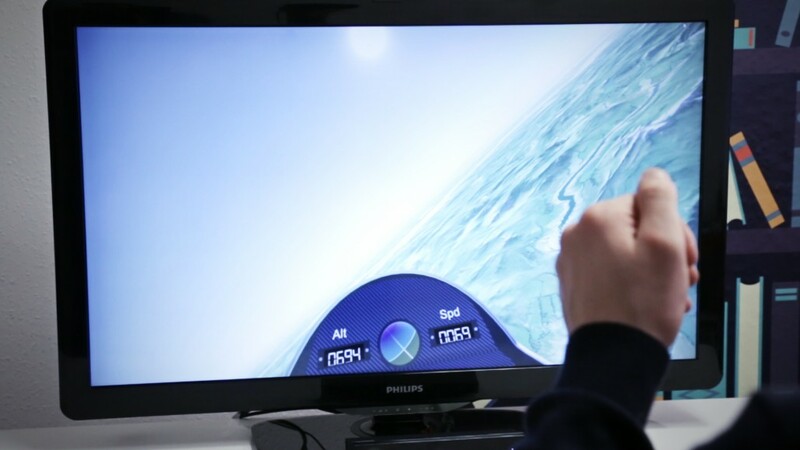 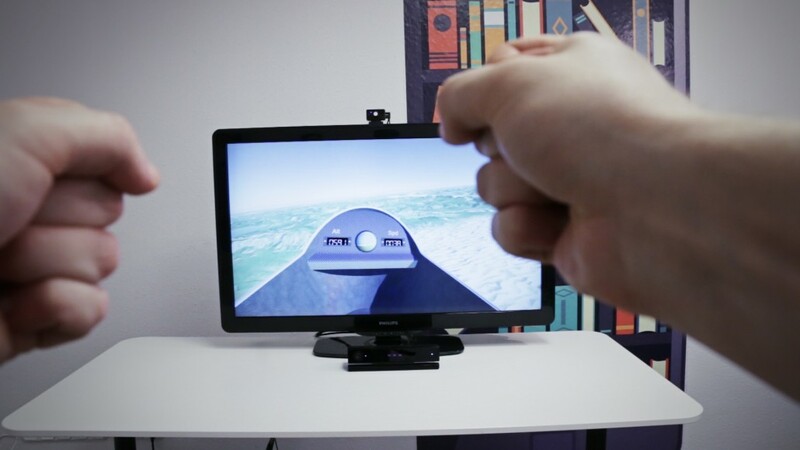 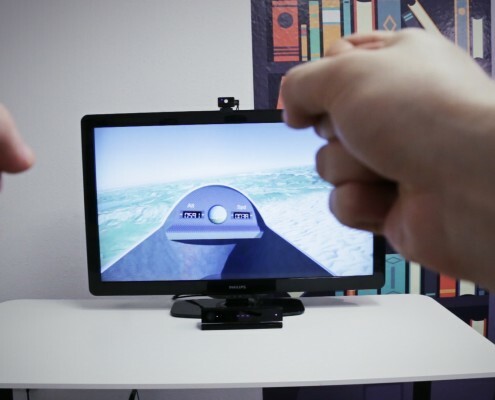 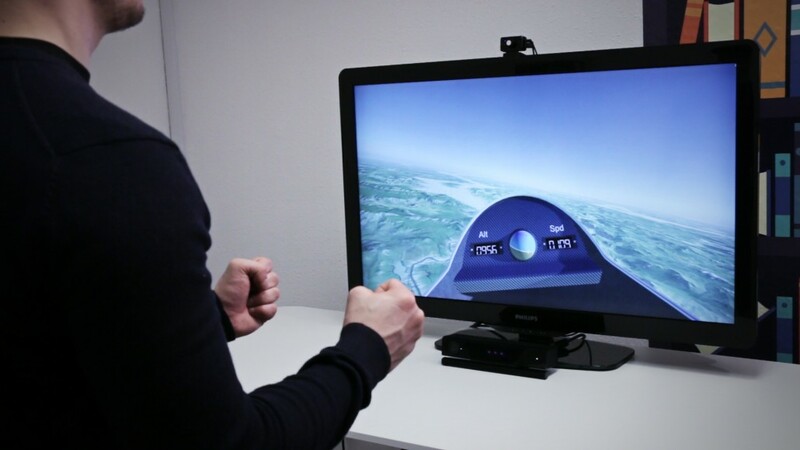 The paired devices were connected to a glider aircraft simulator: the cockpit appeared in the Oculus Rift glasses, while Kinect detected the user’s arm on a virtual joystick who could control the aircraft this way. 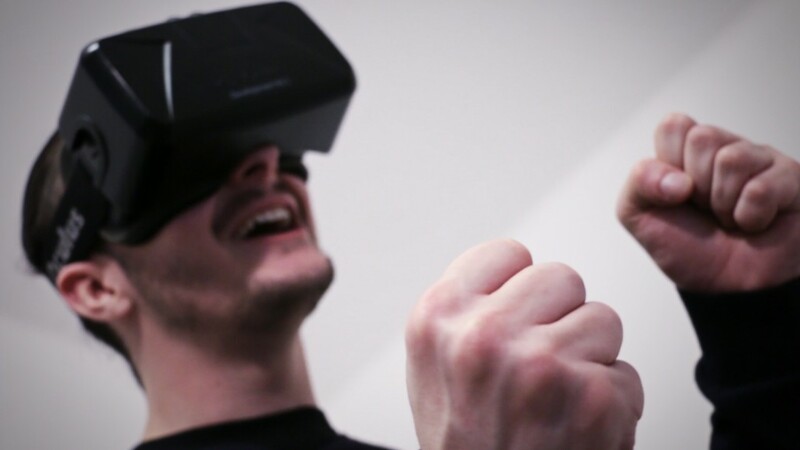 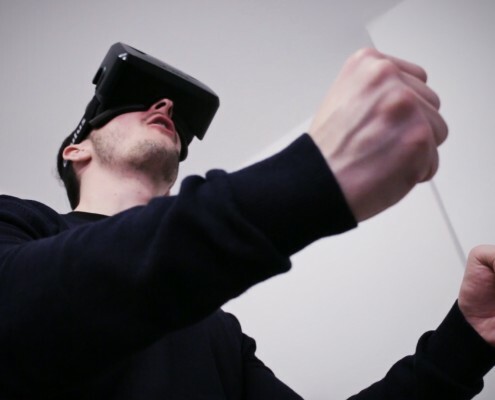 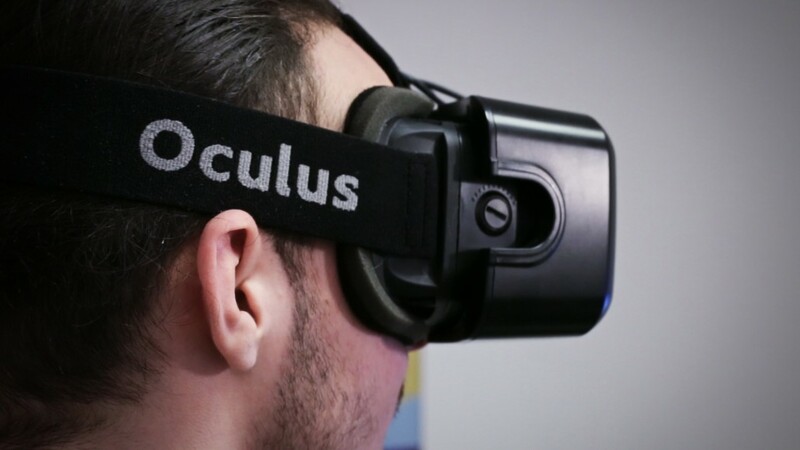 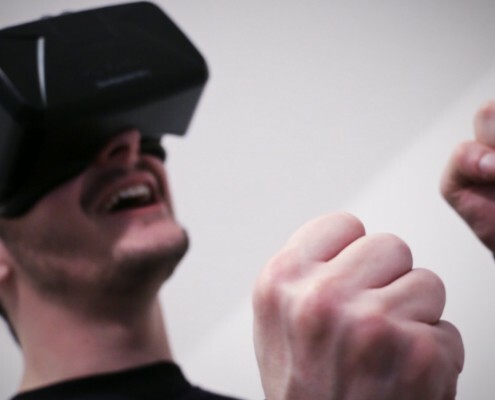 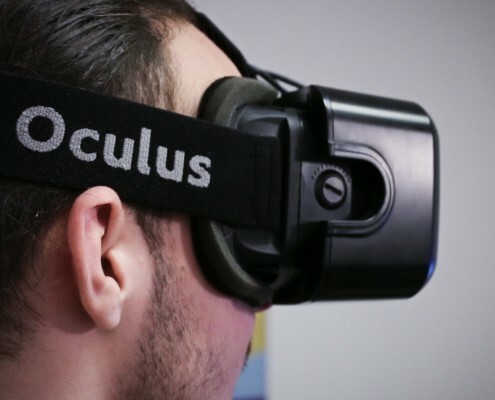 The Oculus Rift itself is a very important milestone in the history of the virtual reality. 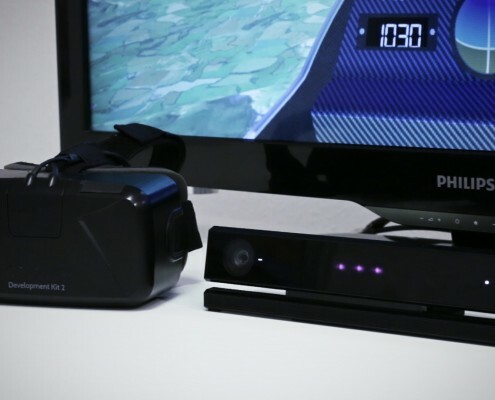 It is expected to arrive this summer to retail stores. 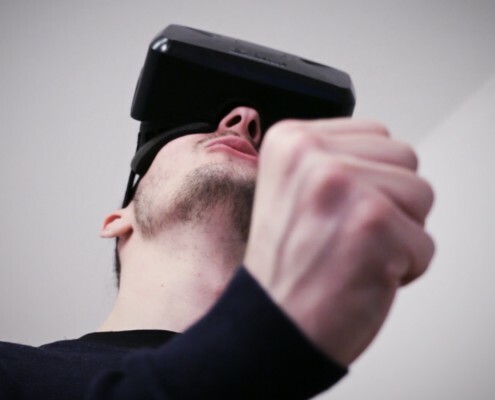 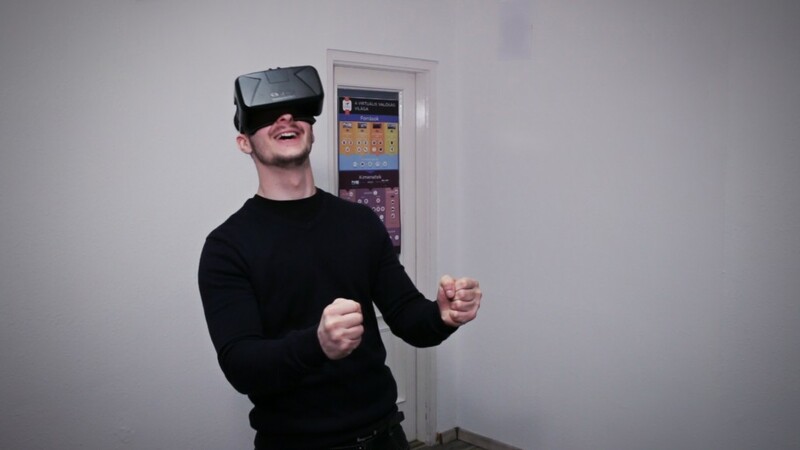 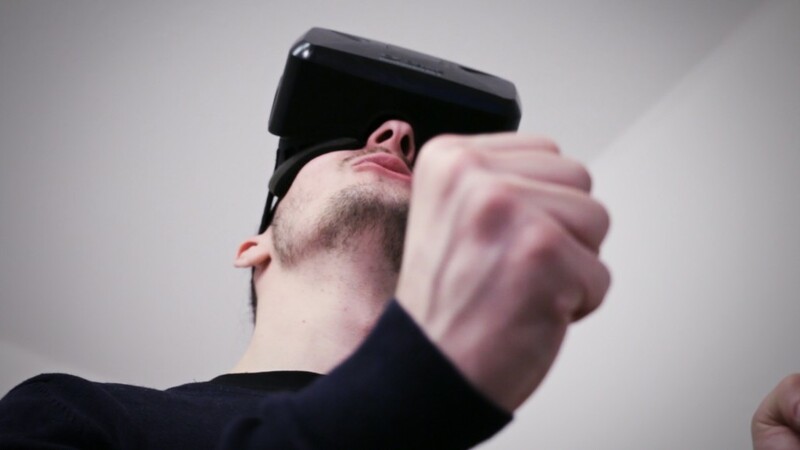 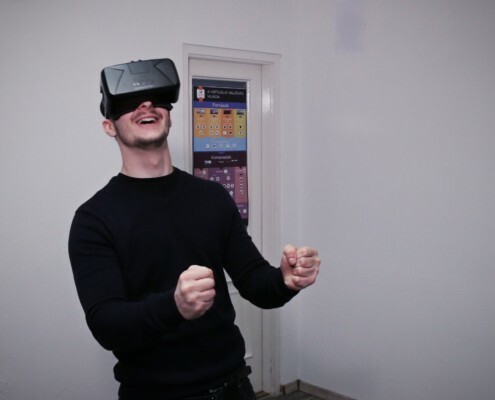 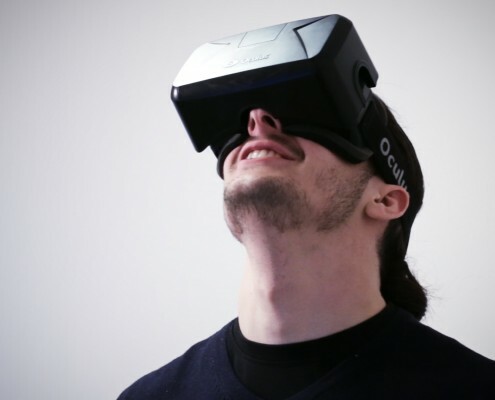 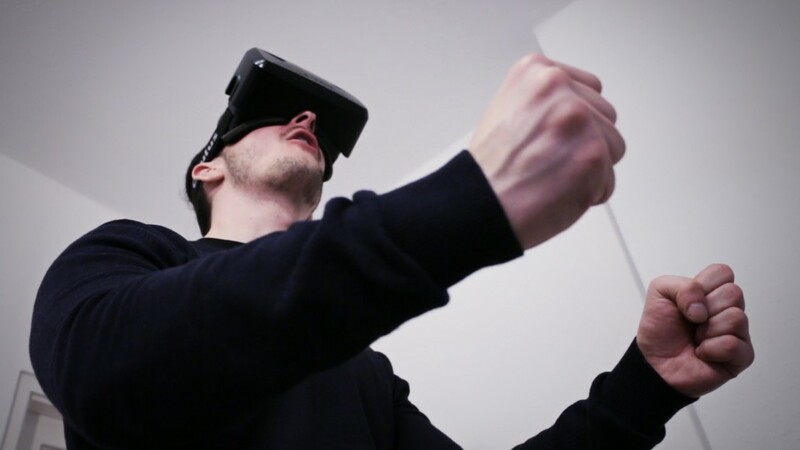 However, the experience of Oculus could be made more enjoyable if the user not only can look around but can interact with the virtual world. 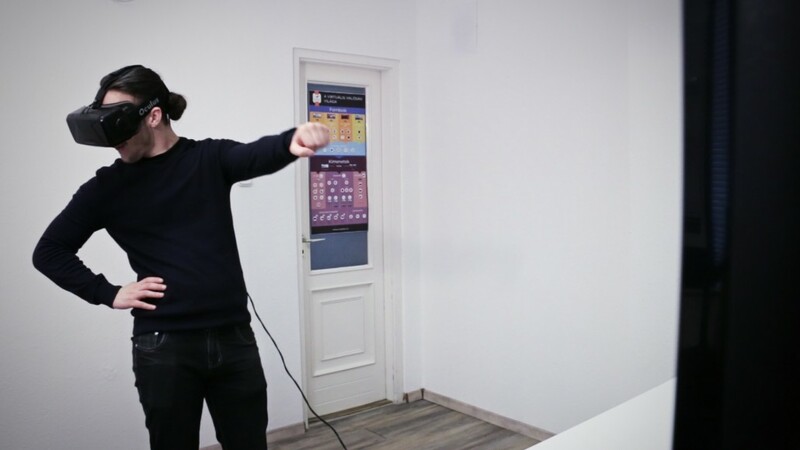 We tried different methods for interaction, for example audio control or point-view control but Kinect seemed the best solution to detect motion and gestures. 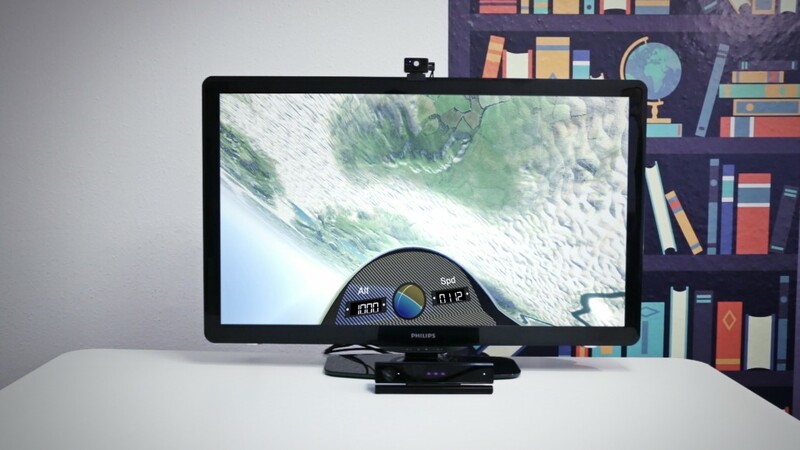 By pairing these two devices we made a special simulator. 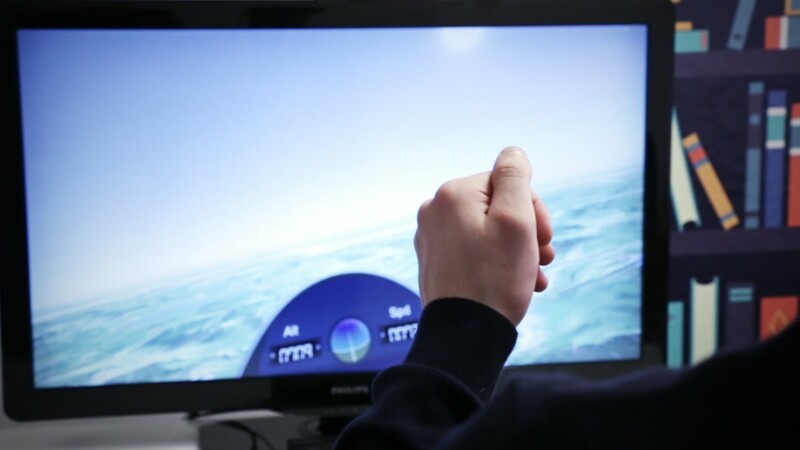 We choose gliding as theme because many users wish to try themselves as pilots. 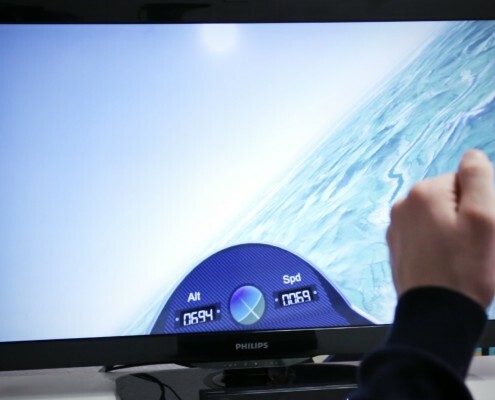 This way they can even fall towards earth but fortunately no real danger is involved. 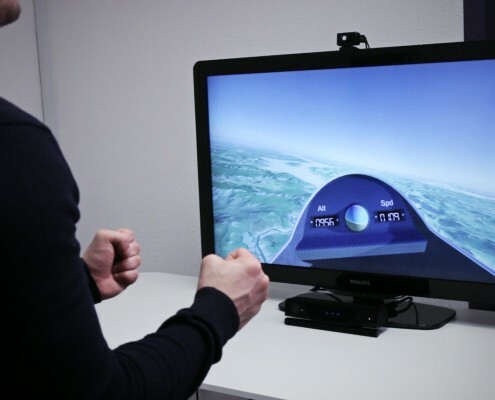 Aside of simulators, other areas can benefit from this technology, it offers great opportunities for example in sports or in education as well.